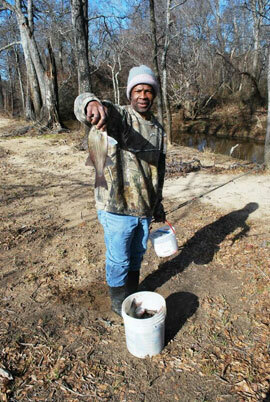 It offers 2,650 feet of river frontage to the north and 3,000 feet to the south of Hwy 31 for bank fishing access to one of East Texas’ most popular spring white bass spawning runs. 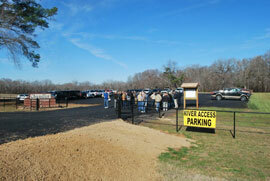 A 100-vehicle paved parking lot is available on the north side of Hwy 31 with ingress and egress lanes. A boat ramp and parking lot for 10 vehicles and trailers can be found on the south side of the highway. Anglers can safely cross from the north to south areas by walking under the Hwy 31 Bridge. 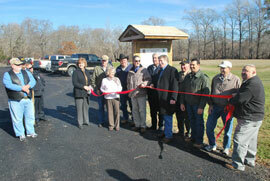 The ETWWF paid for the 10-year lease of the private land north of Hwy 31 where the parking lot is located.